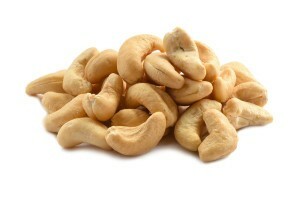 Macadamia nuts have a delectable balance of a slightly sweet and distinctive buttery flavor. This luxurious, creamy nut also has a hint of coconut flavor that will allow your taste buds to momentarily transport you to a lush tropical destination. Macadamia nuts are delicious eaten alone as a snack. They are also a flavorful addition to cakes, cookies and stir-fried vegetables. Packing a bag of raw macadamia nuts in your bag to take to work or on an outdoor adventure is a great way to assure that you have a tasty snack that’s filled with vitamins and nutrients your body needs to stay healthy and functional optimally. Raw macadamia nuts contain the vitamins and minerals necessary to provide your body with the powerful antioxidants it needs to reduce heart disease and prevent stroke. Raw macadamia nuts are cholesterol-free. They’re helpful in preventing osteoporosis and reducing the severity of arthritis. They can protect against various diseases and certain types of cancer. You may want to buy raw macadamia nuts regularly so that you can rely on this nut as a pantry staple to elevate the nutritional value of your snacks and meals. Raw macadamias can be part of a weight management diet. Macadamias contain Palmitoleic acid and omega 7 fatty acid which curbs the appetite and helps burn fat faster. When you eat macadamia nuts raw, you’re providing your body with the highly beneficial Omega-3 fatty acids. Raw macadamia nuts are an ideal complement to a Mediterranean diet which is designed to fight diabetes, heart disease, cancer and cognitive decline. Ingredients: Macadamia Nuts. Product of China or Australia. One bag contains about 150-160 pieces. Very fresh, mostly whole nuts. I pair these with the coconut in a tropical brittle that can’t be beat. Excellent, excellent, excellent. The price is competitive, but I do wish they were less expensive. Received the order very quickly. The Macadamia nuts were very fresh and tasty. I found the price was a little high compared to the local stores around me. But the nuts were very fresh. Best bang for your buck. Large and tasty macadamia nuts. Fast delivery, Taste great, Quality product!! I was concerned that raw would not be as tasty as roasted, but these nuts are fabulous. The additional crispness in the raw macadamia nut is a special treat! 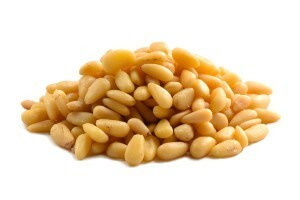 One of the pricier nuts for sale – but we love them and have been ordering them often. Great quality! Shipped very quickly. Just as tasty as roasted and better for you. 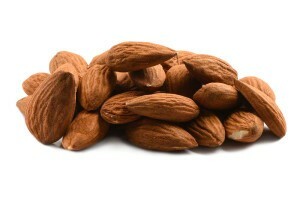 Use these in my fruit n nut mix. They are very good paired with the tart cherries. These macadamia nuts are some of the best I have ever had. Other than buying them fresh from a road stall in South Africa, next to the farm! Great job Nutstop. Delicious, nutritious, and delivered quickly, these raw macadamia nuts are a must have! These nuts are beautiful! They are mostly whole with just a few halves. I can’t wait to try them in my recipes. Earn up to 388 points.